It’s all about the music, man, it’s always been about the music. At least it is for Raymond Weil. And the Swiss-made brand’s Music Icon Series. Not only does it feature limited-edition tributes to artists such as Bob Marley, David Bowie and The Beatles, but it also pays homage to the instruments and equipment that brought these iconic performers their god-like status on stage. Introduced at Baselworld 2018, the latest in Raymond Weil’s line of musical collaborations is with famed amp maker Marshall. Known for their signature Marshall “crunch” sound, the British manufacturer of guitar amplifiers and loudspeaker cabinets holds status amongst the rock elite thanks to the seminal amp’s ear-bleeding loudness and its unmistakable rock ’n’ roll sound. Before we get to the list of potential wrist rockers, let’s quickly run through the basics. Incorporating many of the instantly recognisable design traits of a Marshall amp, the 43mm PVD-coated case of this brand-new Tango is none more black (any Spinal Tap fans? ), while its textured dial is surrounded by a white ring – like the outline of the iconic amp – and reminiscent of the external grill of an amplifier. 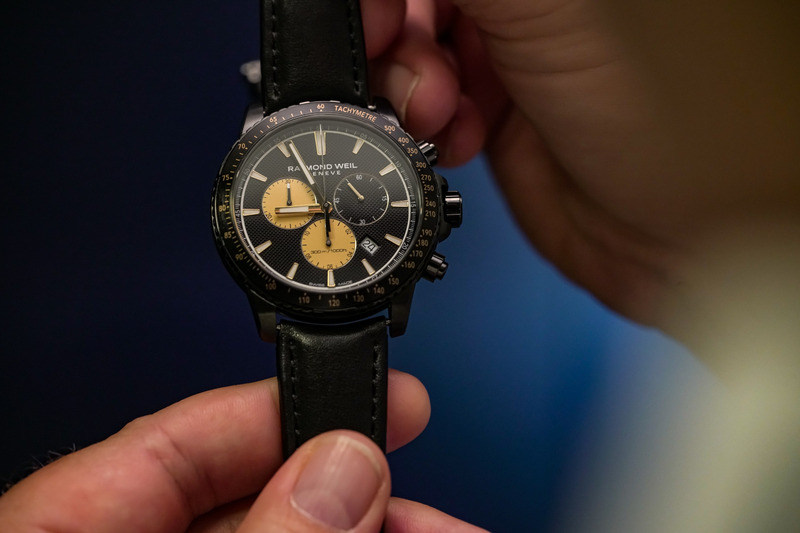 Gold subdials, which measure the elapsed time of the quartz chronograph, draw their inspiration from the golden finish of a Marshall amplifier’s control panel. And a single black subdial tracks the running seconds. 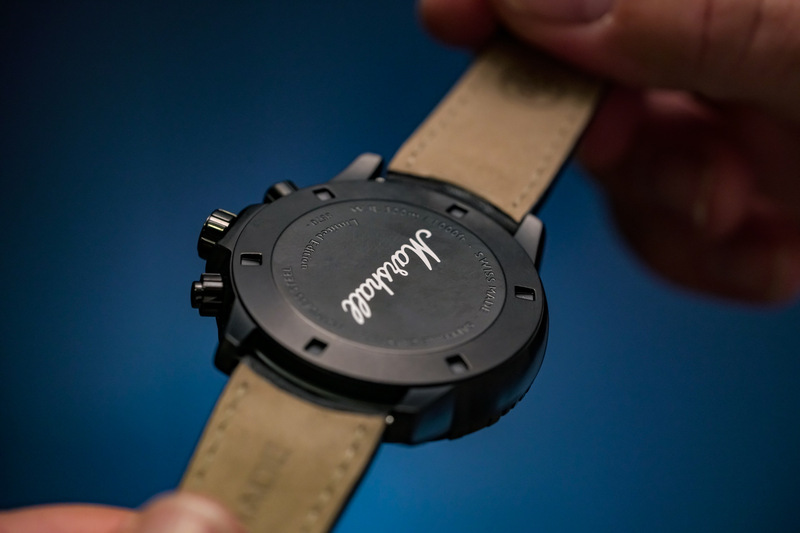 Finally, the caseback is numbered and then engraved with the Marshall logo and the watch is presented on a black leather strap with a case-matching black PVD-coated folding clasp. Now, for the fun part. 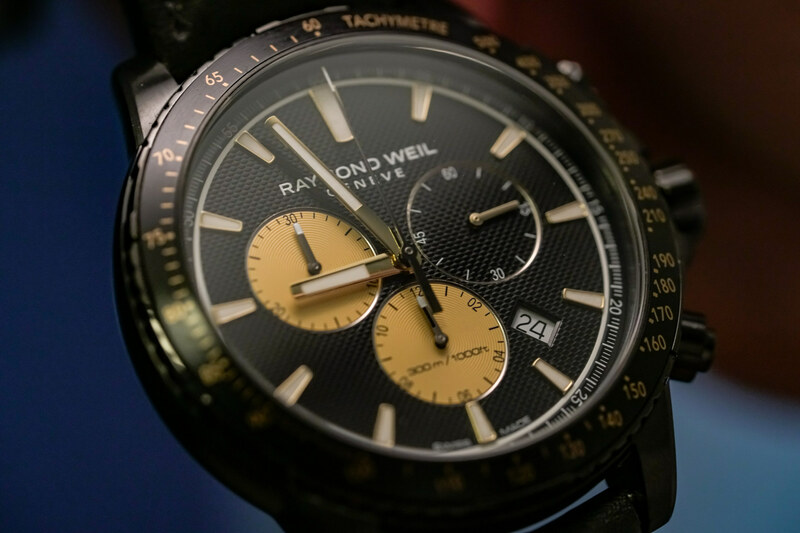 Who do we think could rock this latest track by Raymond Weil? 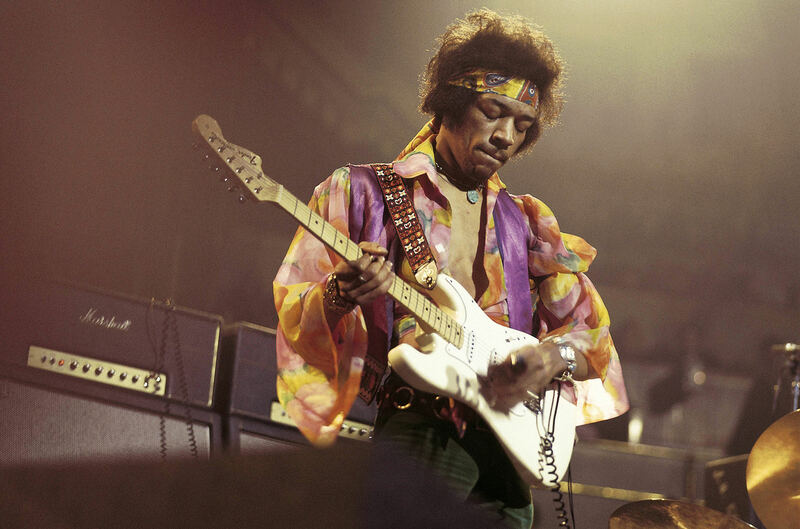 Jimi Hendrix was one of the greatest fans of the Marshall amp. In fact, founder of Marshall amps, Jim Marshall, said that he was the “the greatest ambassador” his company ever had. I could definitely see one of these strapped to his fret-shredding, guitar-burning wrists. Hello Cleveland! Rock and roll! 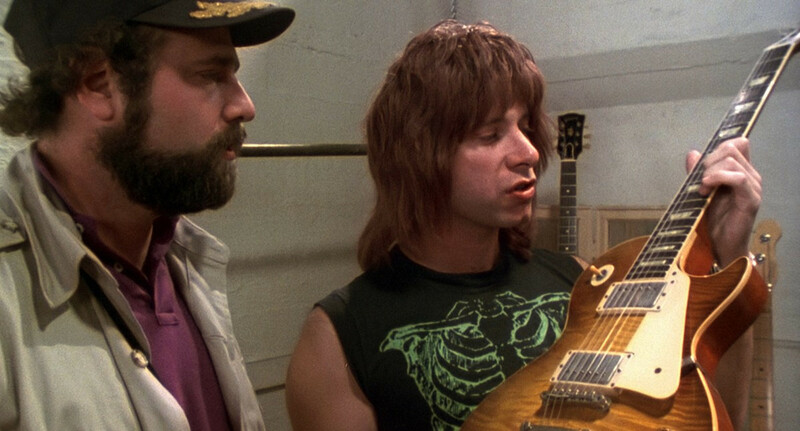 Fist pumping in the air, and his Marshall amp’s dials all turned up to 11, Spinal Tap’s lead guitarist, Nigel Tufnel, would absolutely rock out on stage with his very own rock ’n’ roll inspired Raymond Weil. If only the band could find the stage. The last one is a little different. 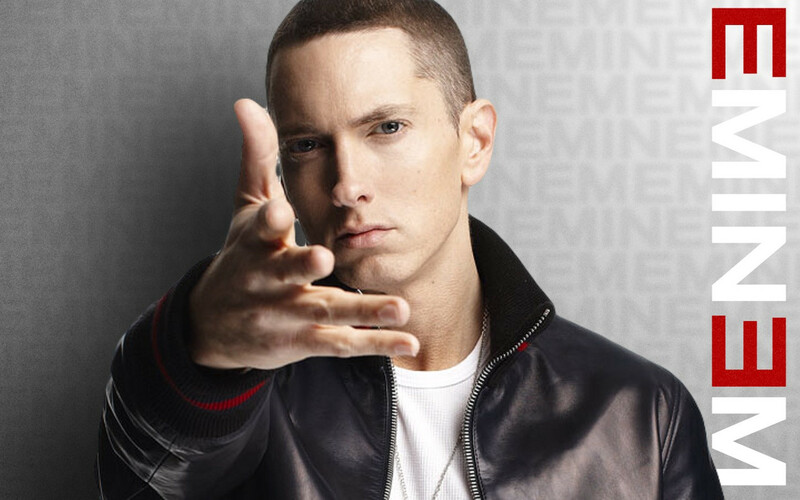 But only because Eminem — aka Slim Shady, aka Marshall Mathers — is less rock and more rap. Nonetheless, the guy likes letting everyone know his name, and this one has it engraved right there on the caseback.